Stainless Steel 201 Plates Supplier, SS 201 Cold Rolled Plate Exporter, Steel 201 Hot Rolled Plate Dealer. Marc Steel is a known distributor and exporter of SS 201 Plates, which has some great features to offer such as high tensile strength, withstand high temperatures and pressure, rugged construction, etc. 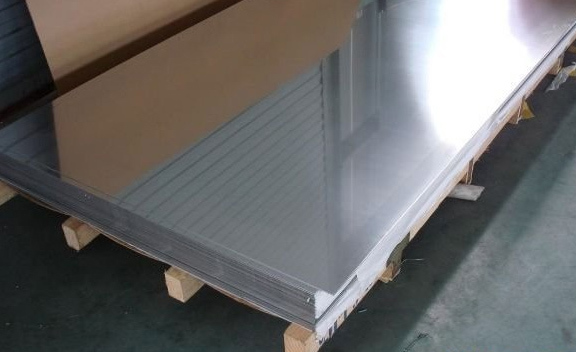 Stainless Steel 201 Plates Stainless Steel 201 Sheets has good formability, corrosion resistance, and fabricability. SS 201 Sheets is similar to that of SS 301. These Stainless Steel 201 Coils (UNS S20100) is an austenitic chromium-nickel-manganese stainless steel that was developed originally to conserve nickel. As said, originally developed to conserve nickel, these SS 201 Coils (DIN 1.4372) is characterized by low-nickel content. Alloy 201 Plates is a lower cost alternative to conventional Cr-Ni stainless steels such as 301 and 304. Meanwhile, about half of the nickel content of Stainless Steel 304 is replaced with alloy additions of manganese and nitrogen. And this results in a higher strength than Alloy 304. ASTM A240 SS 201 CHEQUERED PLATE SUPPLIER, 201 STEEL CR PLATES STOCKHOLDER, STAINLESS STEEL 201 CR PLATES EXPORTER, SS 201 HIGH QUALITY PLATES, SS 201 COLD ROLLED PLATE, LEADING MANUFACTURER OF STAINLESS STEEL 201 PLATES EXPORTER IN INDIA. SS 201 PLATE DEALER, 201 SS PLATES STOCKIST, SS DIN 1.4372 HOT ROLLED PLATES DISTRIBUTORS, UNS S20100 STAINLESS STEEL HR PLATE EXPORTER, STAINLESS STEEL 201 HIGH QUALITY PLATES, STAINLESS STEEL 201 PLATE MANUFACTURER & SUPPLIERS. These Alloy 201 Sheets does not harden with heat treatment but can be work hardened to high tensile strengths. Alloy 201 Coils is also often polished for cosmetic applications. 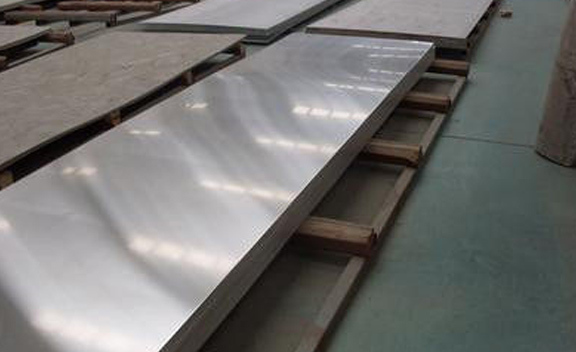 201 Stainless Steel Sheets are widely used in petrochemical industry, nuclear power, water conservancy projects and so on. Grade 201 Stainless Steel Coils can be formed using all commonly employed forming methods and pressures similar to that of 300 series stainless steels. This Perforated 201 Steel Plates is non-magnetic in the annealed condition, but becomes magnetic when cold worked. Perforated 201 Steel Sheets is also non-hardenable by thermal treatment, but may be cold worked to high tensile strengths. Buy 201 Stainless Steel Plates at affordable price from us. Bolivia, Nepal, Bangladesh, Jordan, Mexico, Iran, South Korea, Tibet, Portugal, Nigeria, Belarus, Ecuador, Hong Kong, Indonesia, Brazil, New Zealand, Ireland, France, Spain, Afghanistan, Macau, Serbia, Estonia, Nigeria, Russia, Vietnam, Libya, Trinidad & Tobago,Tunisia, Bulgaria, Mongolia, United Kingdom, Peru, Romania, Singapore, Sweden, Mexico, Iraq, Philippines, Pakistan, Iran, Croatia, Argentina, Canada, Thailand, Hungary, Yemen, Australia, Morocco, Finland, Angola, South Africa, Switzerland, Saudi Arabia, Denmark, Kazakhstan, China, Turkey, Japan, Algeria, Bahrain, Lebanon, Lithuania, Belgium, Zimbabwe, Puerto Rico, United States, India, Costa Rica, Czech Republic, Namibia, Azerbaijan, Sri Lanka, Ghana, Chile, Slovakia, Gabon, Greece, Bhutan, Poland, Gambia, Kenya, Chile, Poland, Israel, Norway, Qatar, Netherlands, Austria, Oman, United Arab Emirates, Italy, Germany, Egypt, Ukraine, Malaysia, Venezuela, Taiwan, Colombia, Kuwait. Al Khobar, Rio de Janeiro, Ahvaz, Houston, Ulsan, Thane, Jeddah, Al Jubail, Cairo, Lagos, Muscat, Sharjah, Doha, Bengaluru, Ranchi, Port-of-Spain, Navi Mumbai, Kuwait City, Coimbatore, Toronto, Algiers, Hyderabad, Dubai, Singapore, New York, Mexico City, Manama, Bangkok, Edmonton, Dammam, Vadodara, Haryana, Jamshedpur, La Victoria, Hong Kong, Bhopal, Surat, Chennai, Aberdeen, Tehran, Faridabad, Gimhae-si, Mumbai, Bogota, Abu Dhabi, Geoje-si, Baroda, Melbourne, Karachi, New Delhi, Ernakulam, Courbevoie, Istanbul, Jaipur, Sydney, Thiruvananthapuram, Ho Chi Minh City, Ludhiana, Busan, Rajkot, Moscow, Milan, Nashik, Dallas, Howrah, Chandigarh, Petaling Jaya, Montreal, Indore, Visakhapatnam, Pimpri-Chinchwad, Nagpur, Los Angeles, Noida, Gurgaon, Vung Tau, London, Lahore, Kolkata, Jakarta, Kanpur, Kuala Lumpur, Ahmedabad, Caracas, Ankara, Atyrau, Brisbane, Madrid, Riyadh, Seoul, Chiyoda, Colombo, Hanoi, Perth, Santiago, Calgary, Secunderabad, Granada, Pune.